Complete Growth Medium: Dulbecco's modified Eagle's medium with with 5% fetal bovine serum. pasmethod:Cells are rinsed with PBS(-) and treat with 0.2% trypsin and 0.02% EDTA at room temperature. 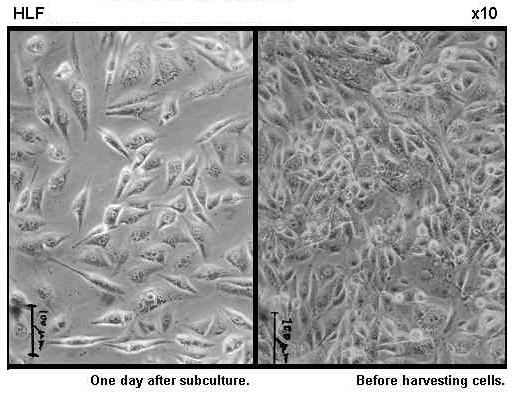 Establishment and some biological characteristics of human hepatoma cell lines.